Each year in mid-September, everyone’s favorite perennials come in to bloom at Hufnagle Park garden, tended by the Lewisburg Garden Club. 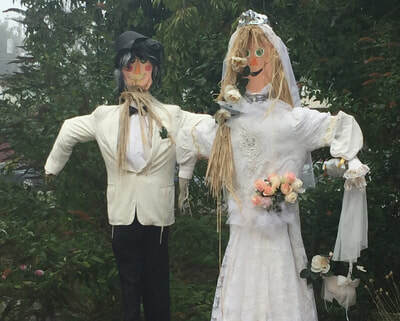 These special flowers are the club’s family of scarecrows dressed as brides, students, doctors, downhill racers, football players, farmers, and fine ladies in Victorian garb. The garden also offers its share of ghosts, goblins, and witches. SUE SURGALA inspired by scarecrows she saw in Vergennes, VT, while visiting her daughter at nearby Burlington College, persuaded garden club members to introduce a scarecrow tradition to Lewisburg. 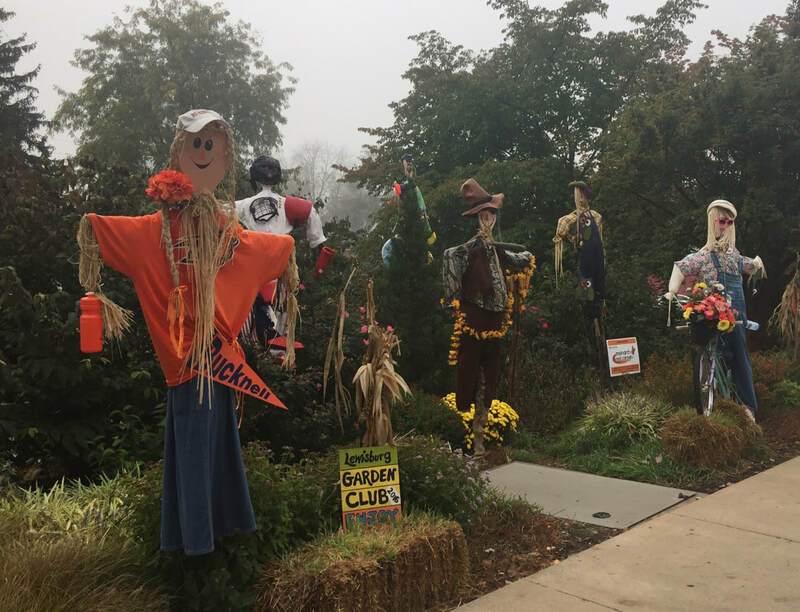 She believed the scarecrows would bring people together and give garden club members an opportunity to get to know each other in ways that don’t happen in club meetings. 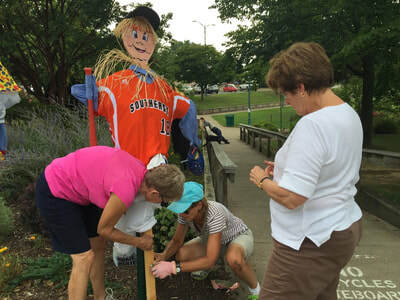 “The first year (fall 2004) we had 30 scarecrows all over Hufnagle Park,” said Sue, co-chair, along with MARILYN MURPHY, of the club’s scarecrow committee. The earliest scarecrows were basically decorated heads on sticks that were pounded into the ground. Theft was an issue. Over the years, the scarecrows have become head to toe creations, designed on bases and completely outfitted and accessorized. 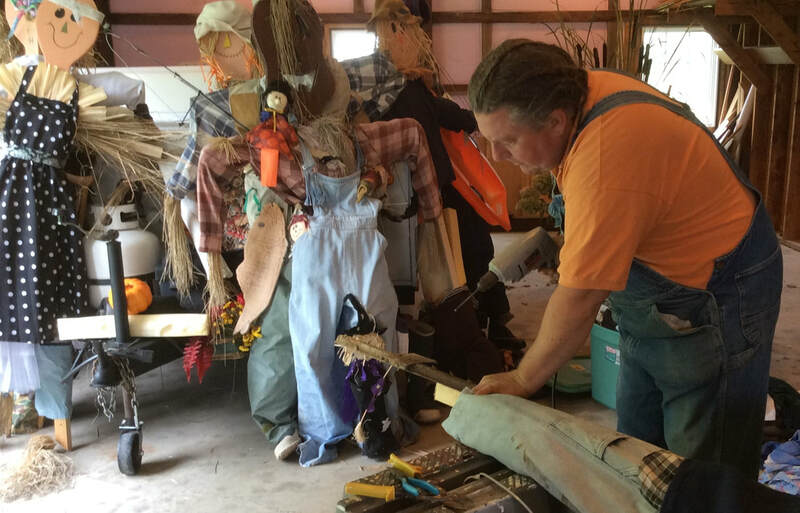 Garden club members dress the scarecrows in Marilyn’s barn, where the scarecrows sleep most of the year. 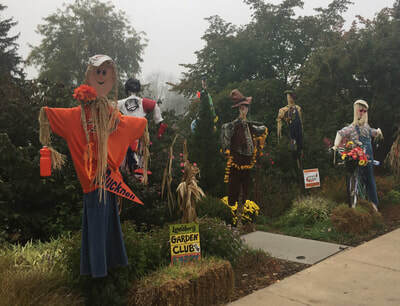 The best ten scarecrows from the previous year will be updated and refreshed. New themes will be developed for five or six additional scarecrows. 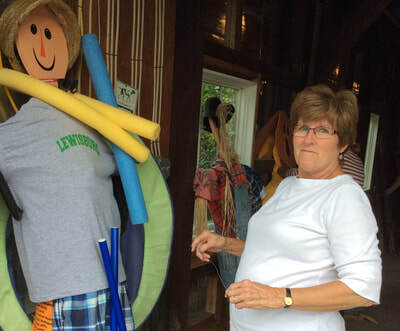 “Today our scarecrows are much sturdier and are well secured so that removal is very difficult,” she says. 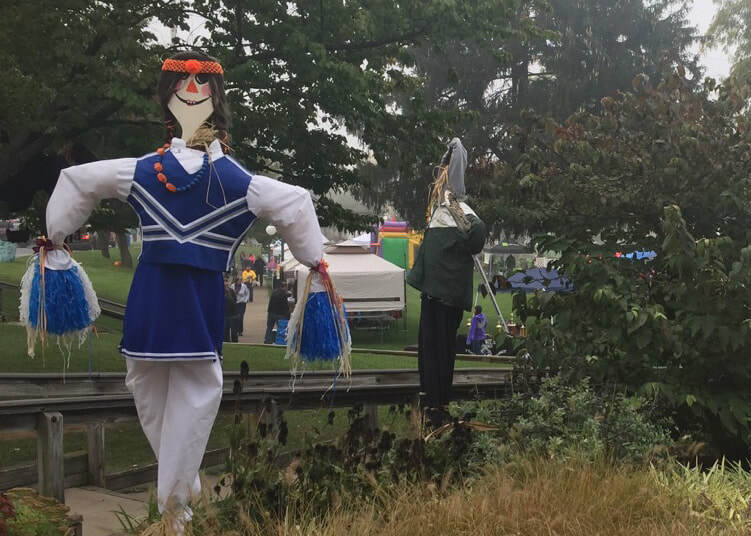 The scarecrows, which are on view from mid-September to the week before Halloween, draw families to the park, are a delightful reason for nursery school field days, and offer a great background for photos. Best of all, they make people smile. organization we WORK to benefit our community through such activities as the planting and maintenance of public gardens, a strong scholarship program, free monthly educational presentations and the support of local and regional like-minded organizations. We GROW, individually and as a group, as we learn about gardening, horticulture, conservation and environmental issues. We enthusiastically SHARE our knowledge with each other and with the community at large.